The idea behind geographic arbitrage, as defined in Tim Ferris’s book The Four Hour Work Week (which I haven’t read) is to get paid in one currency, say US dollars, but live and spend the money in a much cheaper foreign country. This concept works well for freelancers, and interestingly enough, it also applies very well to bootstrapping startups. I’m writing those words from a beach-front restaurant in Mui Ne, Vietnam’s best spot for kite-surfing, waiting for the wind to hopefully rise this afternoon. 10 months ago, I was in Paris, looking for a job, searching for my soul. What the hell was I supposed to do with my life, now that college was over? Founding a startup is something that has always been in my mind. But as everyone else, I was scared to death at the idea of giving away all my savings and at least one year of my life for something that would most likely fail. This is when I got the idea of starting in Vietnam, where one of my best friends was living. I thought that no matter what happened, I would always have a great experience discovering a foreign country. 3 months later, I was moving to Hô Chi Minh City, Vietnam’s economic capital, with two French developers that I had recruited in Paris for a 6 months internship in my soon-to-be startup. We’ve spent the last 5 months working non-stop on BetterInbox, and I’d like to share my thought on how things are going in Vietnam. This is a no-brainer. 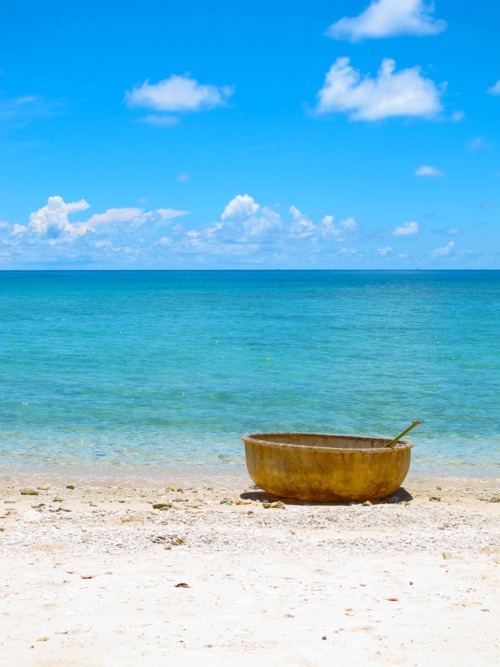 Vietnam is an incredibly inexpensive place to live in. You’ll find a room for $200, a good meal will cost $2, a beer costs $1, air is free, and that’s basically all you need. I’m spending around $800 a month here, less than what my rent alone would cost me in Paris. And this includes all the trips and tourism during the weekends. It’s also easy to cut payroll costs down, either by employing local people, or by convincing people from your home country to join the adventure for a lower salary, because they put a premium at the opportunity to go abroad. Overall, a quick back-of-the-napkin calculation tells me that, had I spent those 5 months bootstrapping in Paris instead of Ho-Chi-Minh-City, expenses would have been 2 to 2.5 times higher. Put it another way, for the same amount of capital invested, I have twice as much time to make a profitable product. 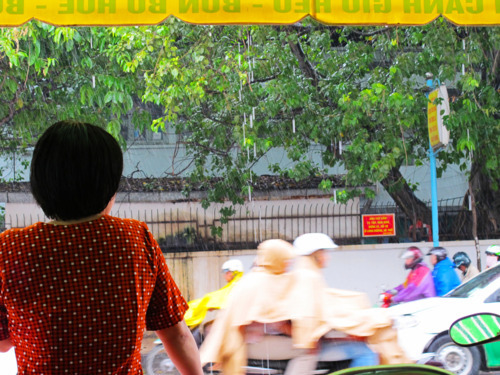 A woman looks at the rain in Saigon. Still sunny. But way more important than any cost-cuttings is the happiness that comes out of enjoying life in a cheap and sunny country. Had I stayed in Paris, I would have spent those 5 months living on a budget, having to watch every euro I spend, and with a rather unattractive weather. Being in Vietnam, on the other hand, there’s the constant joy of doing something new each weekend, discovering new places, going to the beach, and more generally, living the life of a high-revenue guy, except with zero income. Needless to say, when you are a startup founder, this is a tremendous morale booster. You can do much more focused work, because there are fewer distractions. Friends are 7 time zones away, and there is less noise from mainstream news and media. Being in a foreign country for a limited amount of time gives a very clear and hard schedule to your project. You know that you’ll have to launch before going back. You get a lot of serendipitous connections, and you’re more likely to find people willing to help you, because you are doing something unusual. This is how we got free office space from Franco-Vietnamese company Officience. It gives a nice touch to your startup pitch, making it more remarkable. After those 5 months spent in Vietnam, I can tell you that not only this is a fantastic experience, but also that I would have never been able to get that far, had I stayed in Paris. Besides the obvious benefit of cutting costs, geographic arbitrage is a great way for startup founders to hedge the risk of creating their startup. No matter what happens, you won’t lose the time and money you’ve invested. Because the life experience you get by simply living for 8 months in a country like Vietnam has already covered the investment.